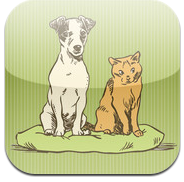 Welcome to the official app of Marmalade & Mobile Vet, where we offer high quality holistic and modern veterinary care with old-fashioned service and honest pricing. We offer house calls to Glouceser County, New Jersey, and now our commitment to treating your pet like a family member in the comfort of your own home is made even easier via your iPhone! – Request appointments and perscription refills directly through our app! – Gain access to both daily and monthly specials! – Learn about special events that will excite both you and your pet! Please download the iOS or Droid version of our app and schedule an appointment for your pet today! We can’t wait to see you!